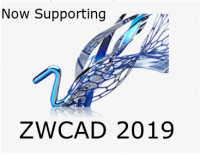 ZWmech is a integrated plug in for ZWCAD and adds a powerful array of engineering modules to both the 2D and 3D to the ZWCAD platform. The ZWmech products include Mechanical, Piping, Structural Steel Detailing, and HVAC applications. All ZWmech products support the latest Windows 7, Windows 8 and Windows 10 - both 32-bit and 64-bit. Save & combine the Mechanical, Structural, Ducting & Piping modules into one comprehensive package! Feel free to contact us today about ZWmech. We would be happy to answer any questions you may have, Ask us special discounts and multiple ZWmech licensing offers. Reseller inquires are also welcome.